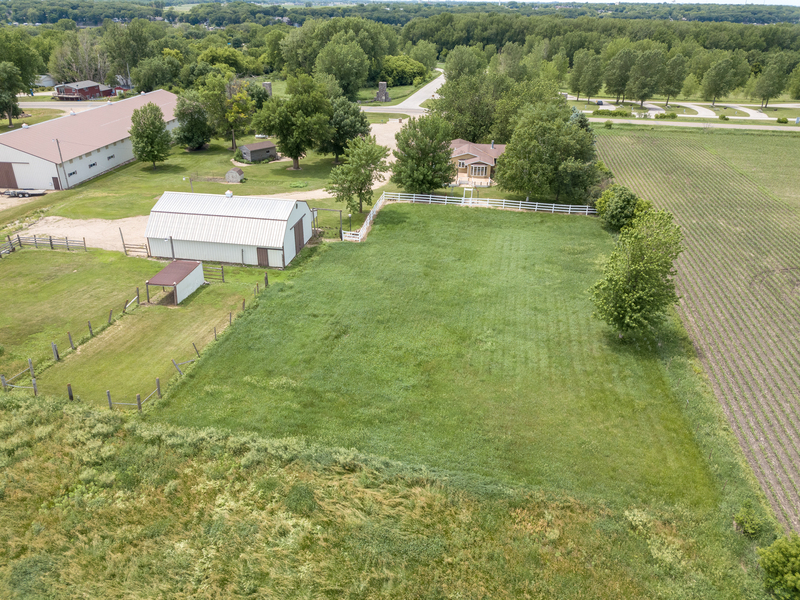 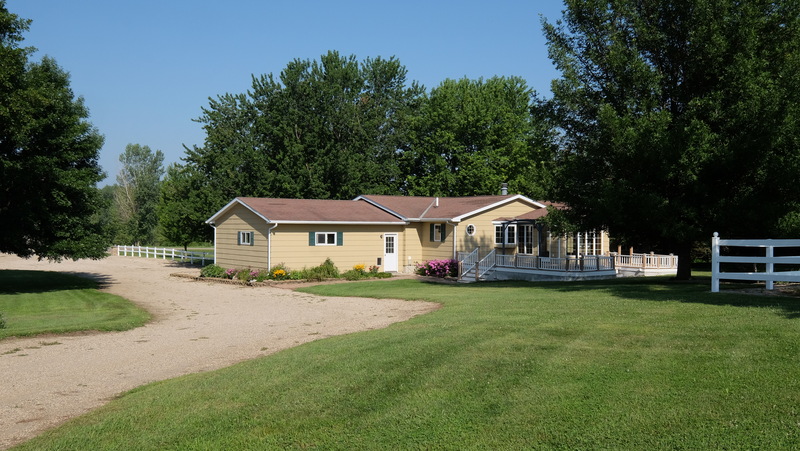 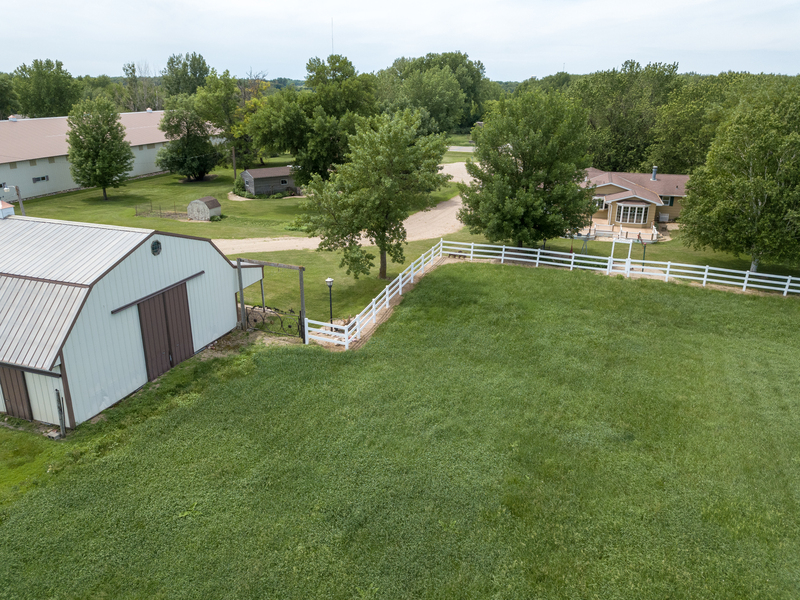 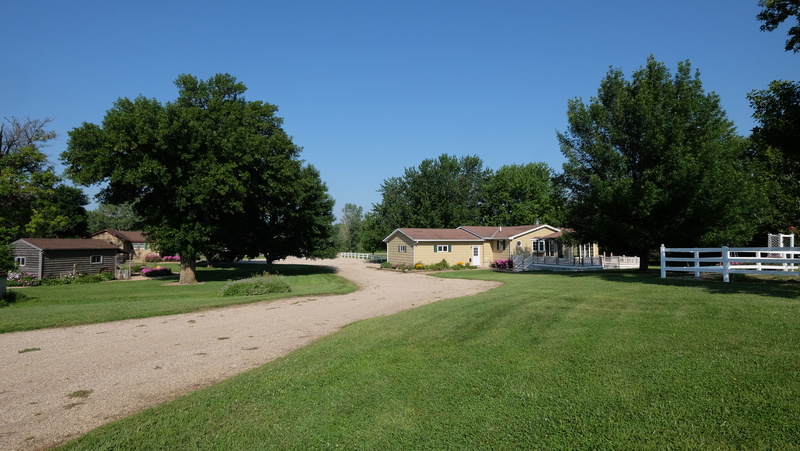 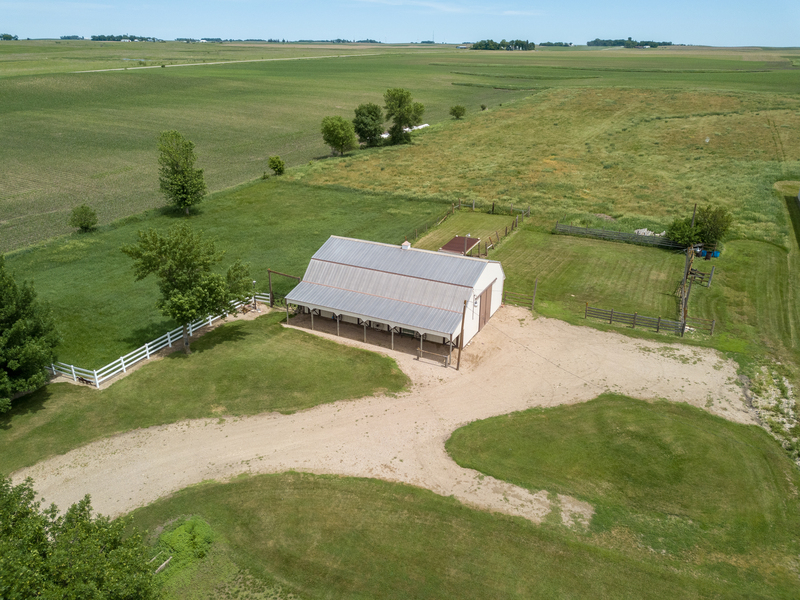 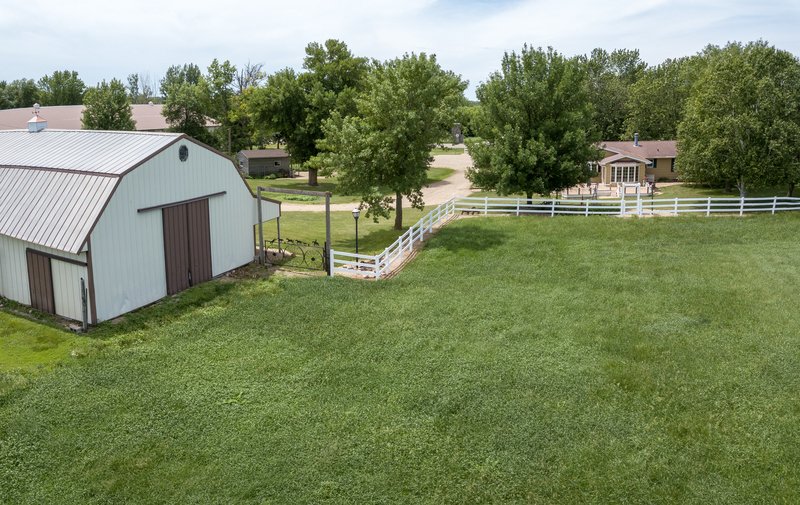 A Natures Escape on 6 acres with the possibility of 5 tillable acres or pasture potential. 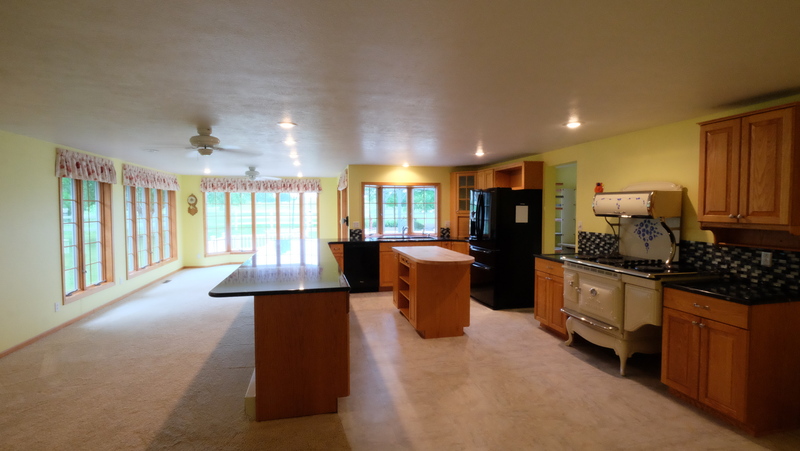 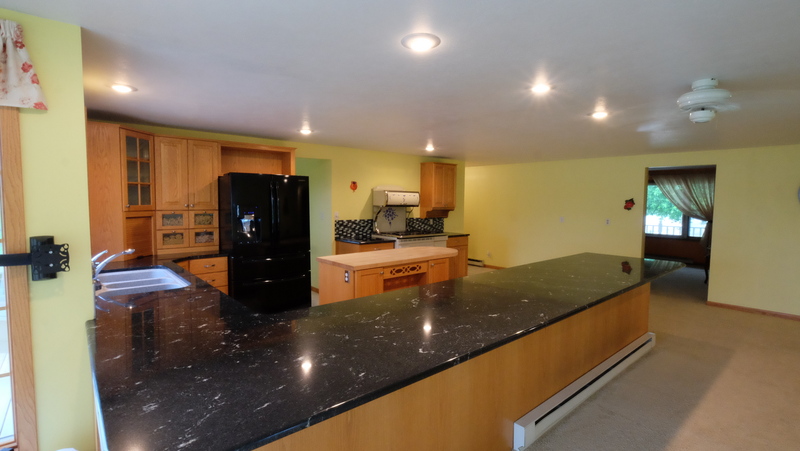 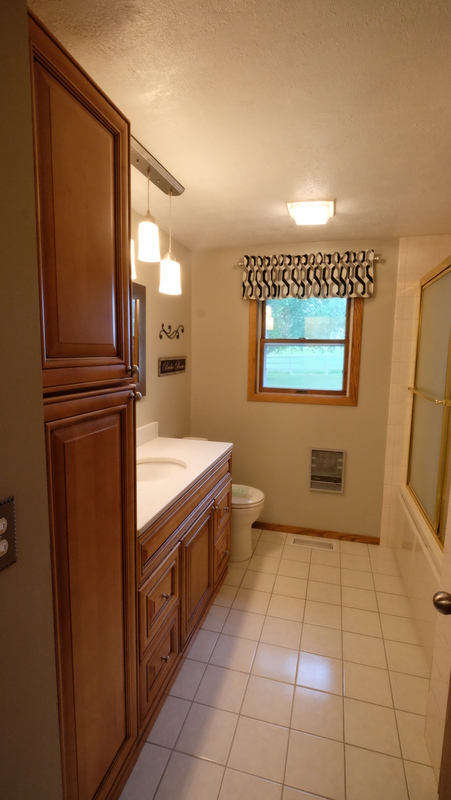 This ranch style home offers updated kitchen with large breakfast bar and opens to the dining and living areas for entertaining. 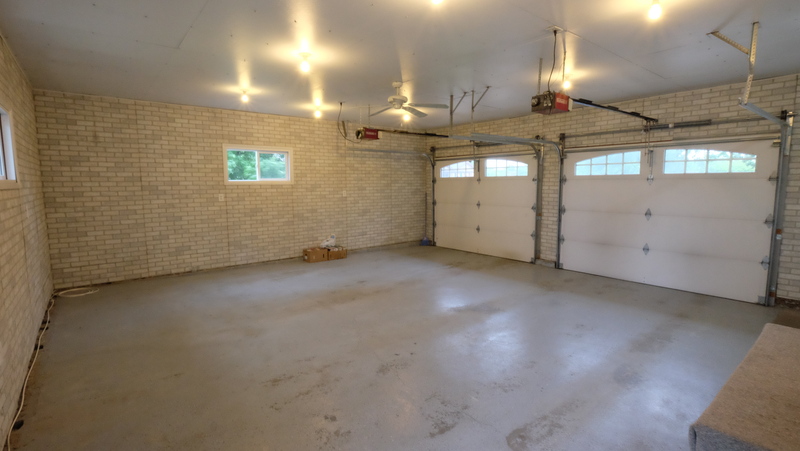 Other features of this home are large windows, walk in closets, skylights and insulated attached garage. 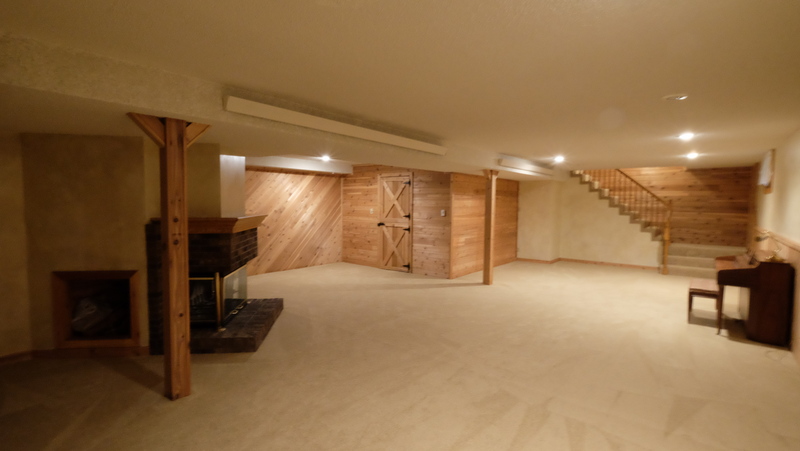 The lower level offers a large family room with modern and rustic finishes, curl up by the cozy fireplace with a good book. 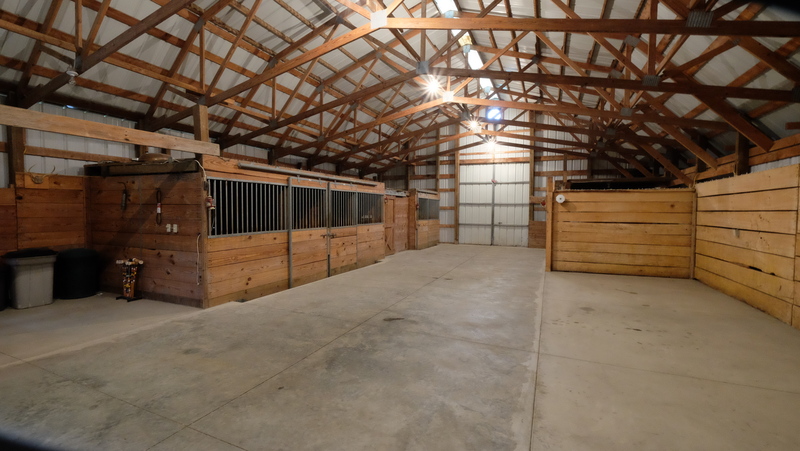 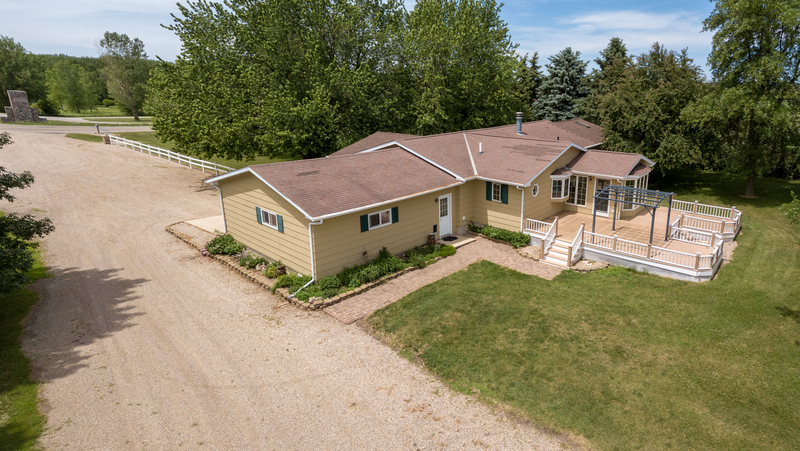 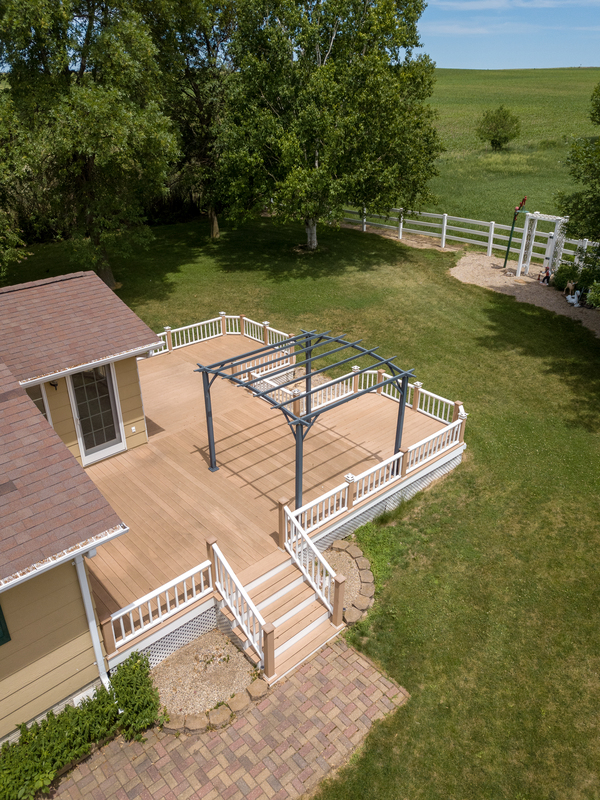 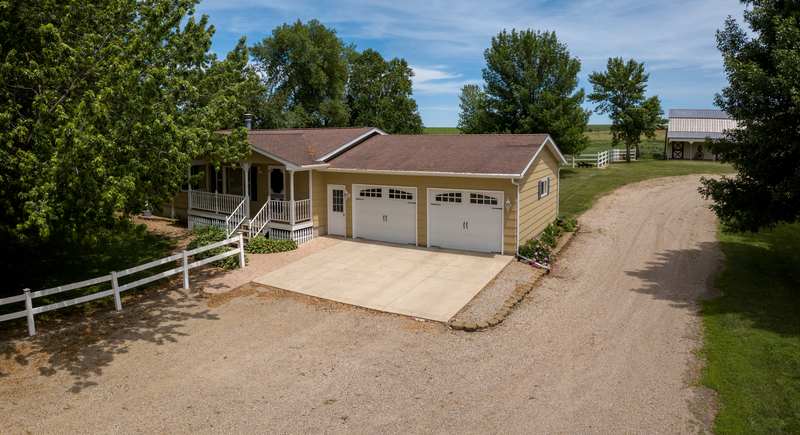 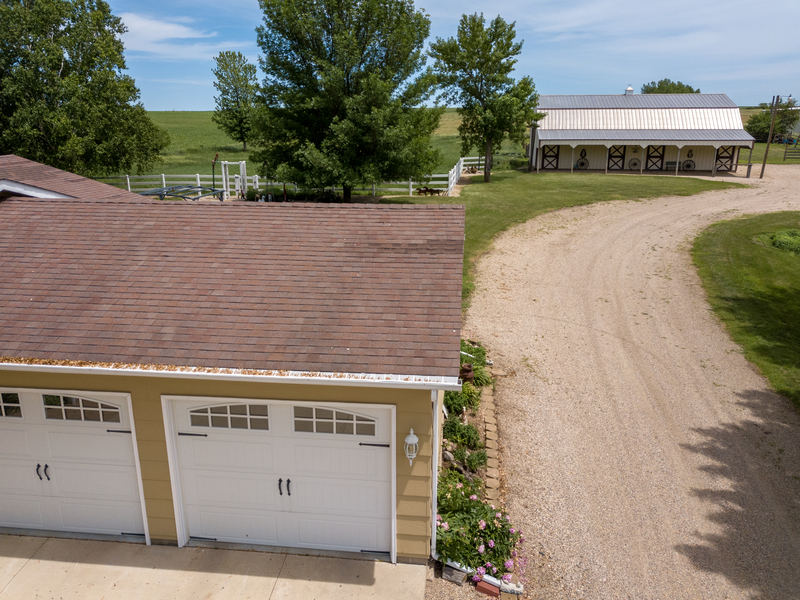 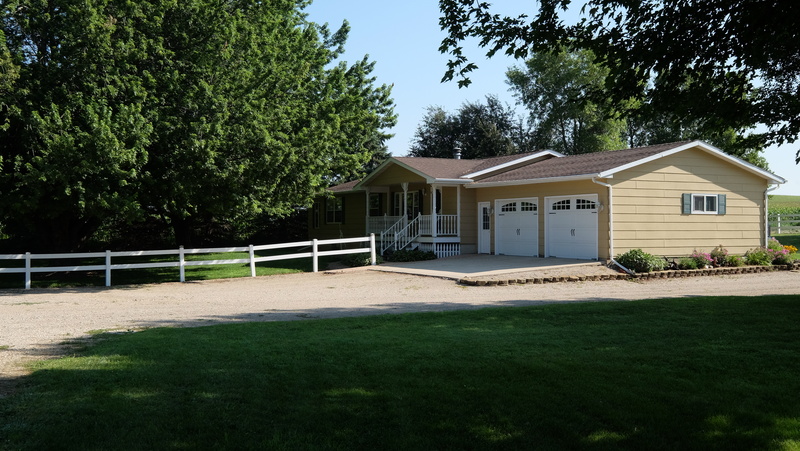 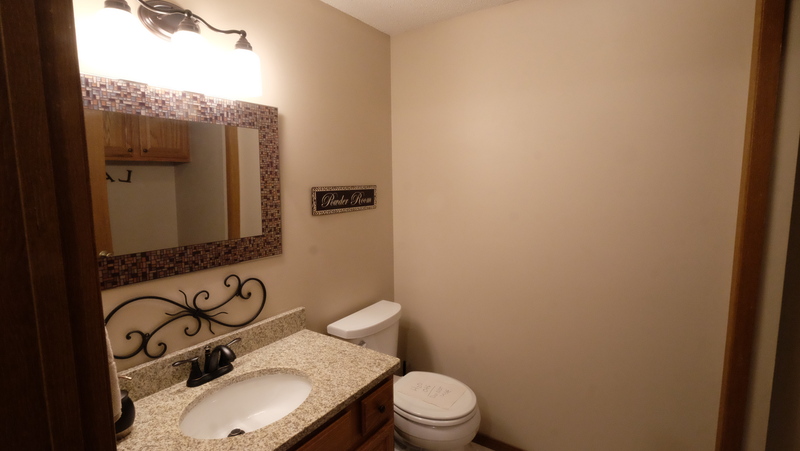 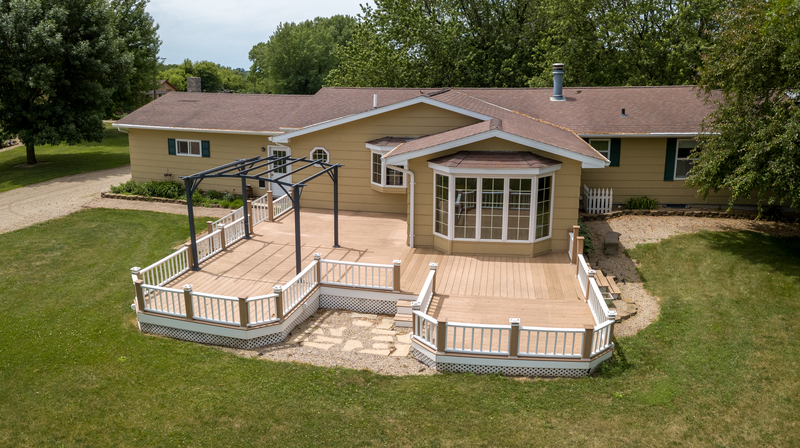 Exterior of home is nicely landscaped with mature trees and a plush yard, level driveway takes you to the 56 x 34 horse stable with stalls, may also be used for additional storage for RV, boat or a workshop. 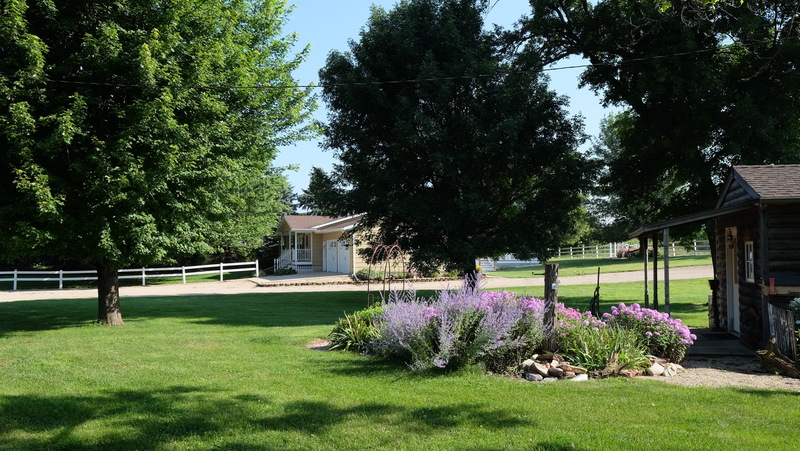 Public boat ramp is located in neighboring East Okoboji Beach area. 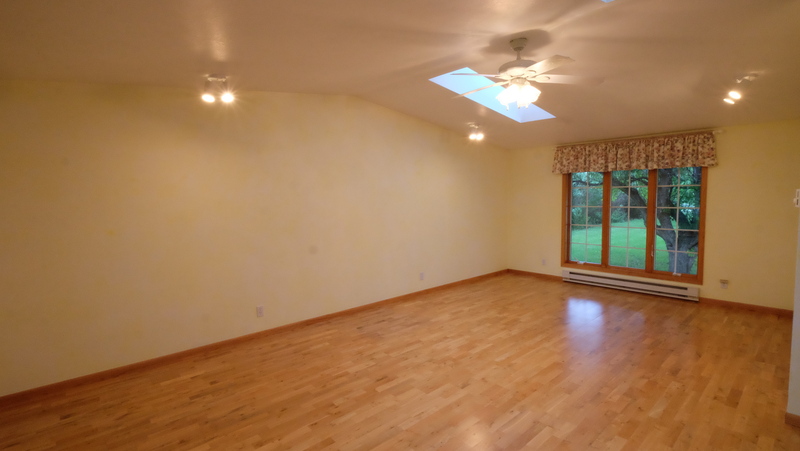 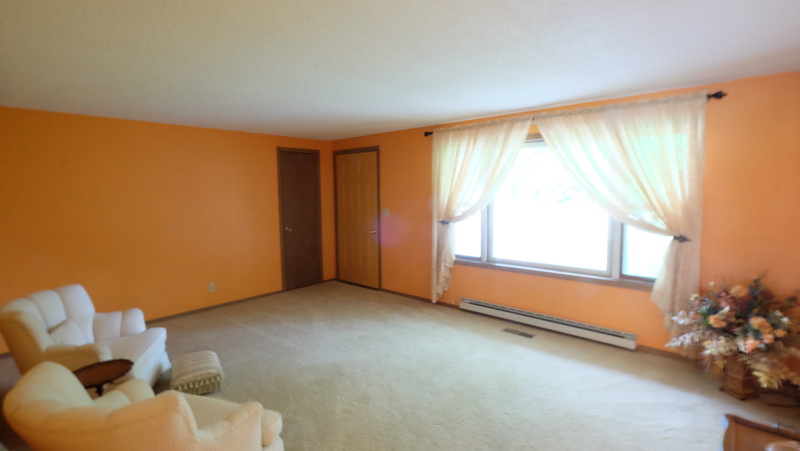 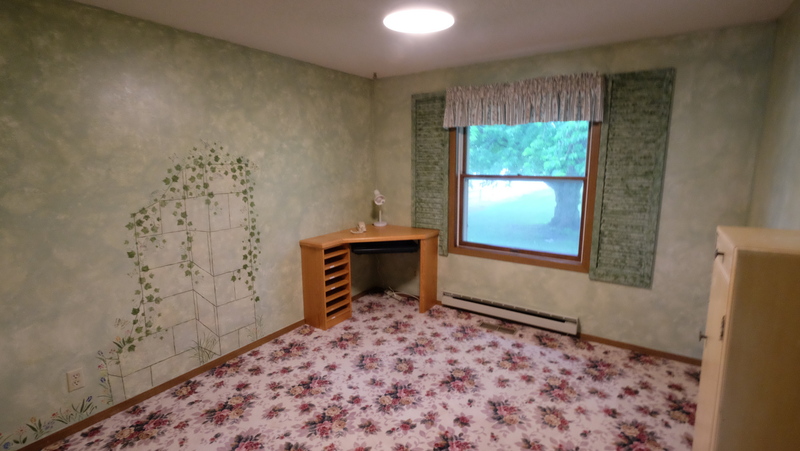 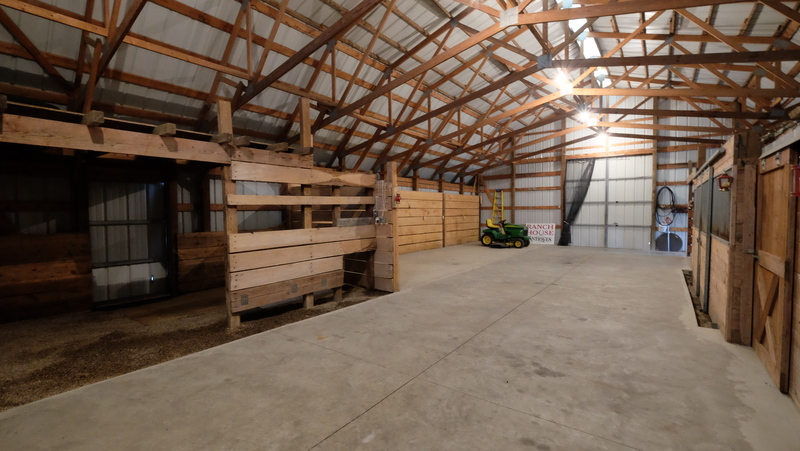 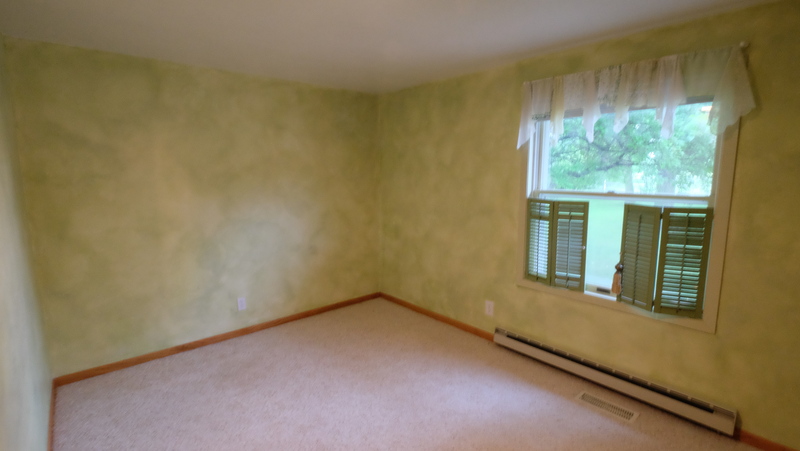 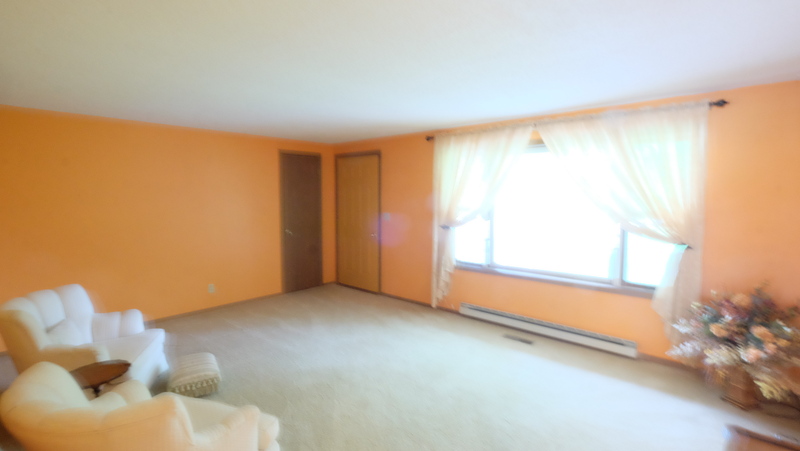 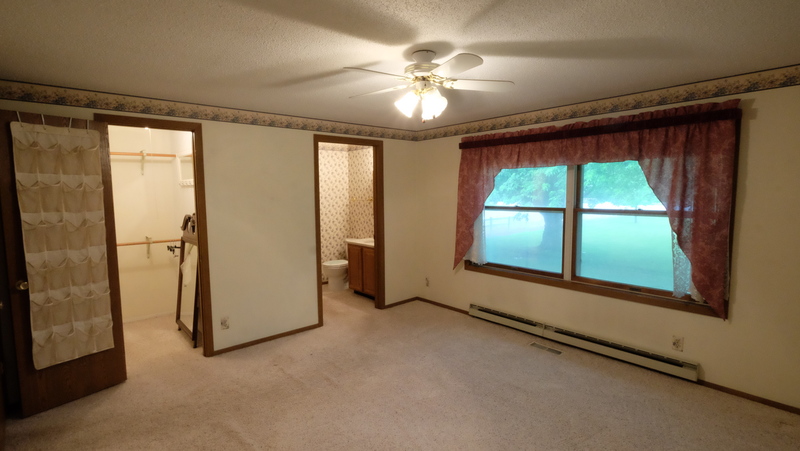 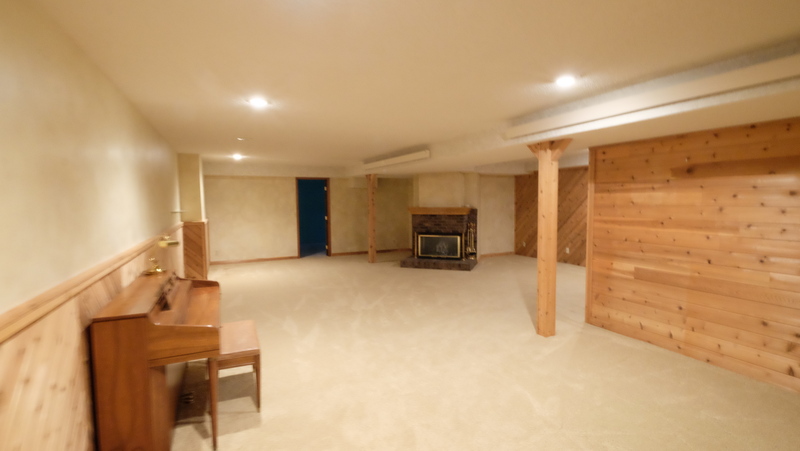 Adjacent home with 20′ x 14′ heated log work shed is also available for sale separately, may be utilized for a rental, business use or Bed and Breakfast. 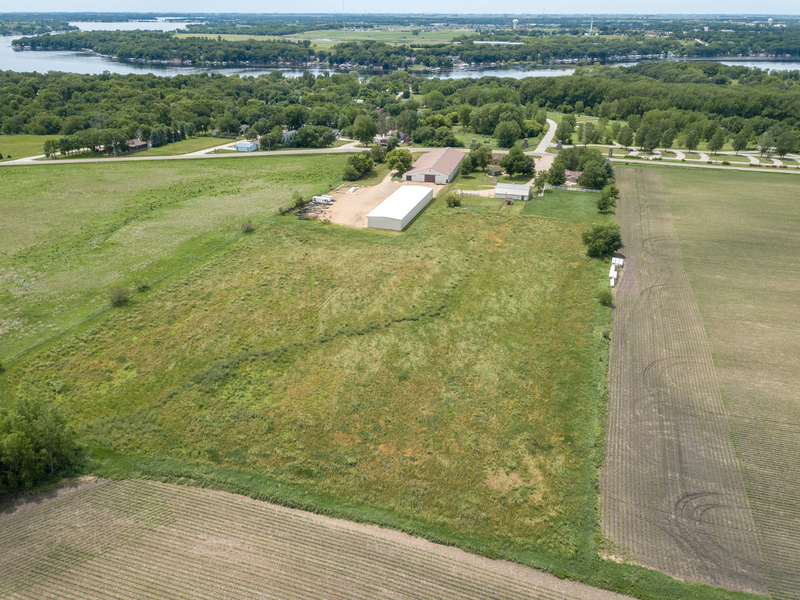 Zoned for Agricultural but has been pre-approved in the past for an RV Facility.